The entire process can essentially be broken down into 3 simple steps. Firstly, you will need to complete an online registration form. It’s free to sign up and the registration process will take you just a few minutes to complete. Once you have registered, your account will be submitted for approval. We always aim to approve or disapprove accounts within 1 working day. You will automatically be sent an email notifying you when your account has been approved. So before you can move on to the next step, you will need to complete our Affiliate Program Signup Form. You are now ready to begin promoting our assessor courses. When you log in to your account, you will see ‘Marketing Materials’ as an option on the menu. Here you will find all kinds of marketing materials that you can use, ranging from banners for websites to social media posts for you to share. All you need to be thinking now is the more you promote, the more you can potentially earn. Also in the ‘Marketing Materials’ section, you will find ‘Tier Linking Code’. Use this code to recruit new affiliates to your team. Remember you will earn an extra commission on anything they sell as well. Once you have begun promoting, it is just a case of sitting back and watching those commissions build up! Every time you log in to your account, you will be able to view your Account Dashboard. From here, you can see how much traffic your promotions have generated, how many commissions you are eligible for and more. Essentially, everything you could possibly need to know can either be viewed on the dashboard or accessed via the dashboard. 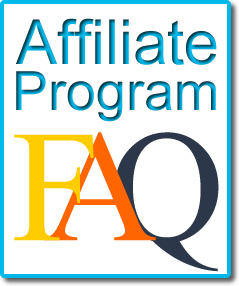 Alternatively, if you have a few questions about our affiliate program before getting started, then our Affiliate Program FAQ may be worth a read.